The Byzantines, however, would have had chariots and palanquins (or sedan chairs, litters), means of transportation among the ancient Romans they had inherited. Transporting goods within the city would have continued to have been by camel, mule or horse and possibly cart and oxen. Where the streets were too narrow or steep, human porters would have been hired to move items. Nothing much would have changed in the centuries leading up to the Ottoman conquest of Constantinople in 1453, although chariots were long gone. Men rode horses, but women likely were transported in carts – not the rough, wooden kind used for goods, but painted and decorated in ways that suited the occupants’ station with a covering that could keep out rain and sunshine. In fact, women were forbidden to ride horseback. Women could also use palanquins or sedan chairs, but would have to be escorted. We have no reason to believe the Turks, and especially the Ottomans, still relied on the horse-drawn wagons which they had used during their nomadic years coming from Central Asia. 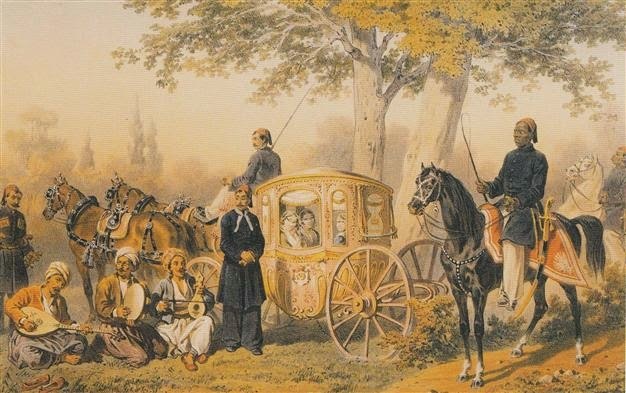 At the beginning of the Ottoman Empire, only the sultan, seyhülislam and kadıaskers (chief judges) had the right to use a carriage, although later on ambassadors who carried imperial communications and gifts could also. Later the grand vizier and other leading officials were allowed to use carriages. 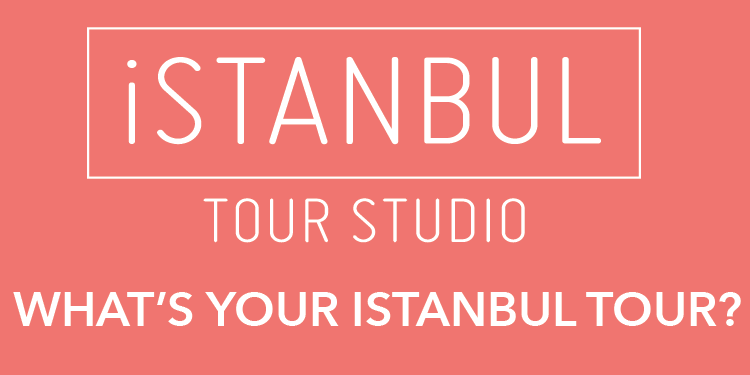 In 1512, Sultan Beyazid II, who had abdicated the throne, was escorted out of the city. He rode in a carriage with his son, Sultan Selim I, walking next to it as his father gave him advice on how to rule. English Queen Elizabeth I presented Safiye Sultan in, or about, 1599 with a carriage and the latter then rode around Istanbul in it, making herself even more unpopular than she was before. We don’t know what kind of carriage this might have been.